In The Unseen Realm, Dr. Michael S. Heiser unpacked 15 years of research while exploring what the Bible really says about the supernatural world. Now, Douglas Van Dorn helps you further explore The Unseen Realm with a fresh perspective and an easy-to-follow format. Van Dorn summarizes key concepts and themes and includes questions aimed at helping you gain a deeper understanding of the biblical author's supernatural worldview. 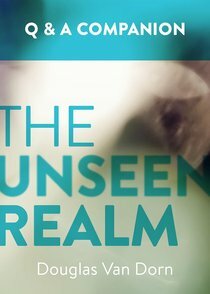 Use your copy of The Unseen Realm: A Question & Answer Companion for personal study or for leading discussion with a small group. About "The Unseen Realm: A Question & Answer Companion"